Jesus Culture is a Christian youth outreach ministry that hosts regular conferences around the US and elsewhere. They are known as one of the most influential youth movements around the world, igniting a generation with energetic, passionate and authentic worship music. In the summer of 1999, the youth group led by Banning Liebscher at Bethel Church in Redding, California, launched the first Jesus Culture conference. The heart of these gatherings was to serve other churches and lead young people to experience the radical love of God. On first listen to this latest album I felt a bit like, haven't we heard this before? That was my initial reaction. Yet as with any good album you really need to spend time digging into it. When Jesus Culture first burst onto the scene it felt like they had something new and fresh about them. Something that grabbed your attention, it was like an x factor moment. Yet over time, and probably for many reasons, they have fallen into producing similar style albums musically. Of course, still big powerful God centered albums, but musically similar and tempo wise very middle of the road. Yet it’s these kind of albums you need to give time and space to really appreciate as there is so much going on. What can start as a subtle acoustic worship song can suddenly out of nowhere turn into an out of this world praise anthem. With Jesus Culture the tempo might feel similar but the experience is something else. For all my initial comments, when I started to get into the album I was swept in a wave of praise. The vocals on 'Not Afraid' are as you would expect, powerful and affirming. This album takes you on a journey. Jesus Culture and their songs always have taken you on journeys, but what they also do so well is create these fist pumping choruses with catchy melodies and harmonies that work in a large gathering or a small intimate worship group. You can’t deny how amazing the vocals are on a Jesus Culture album. And this album doesn’t disappoint. 'Centre of Your Love' goes on a very special journey and at 9 minutes long is a lot to take in, but it’s an amazing song. 'Freedom' is a Coldplay song in disguise. Not a negative comment, but it is a Coldplay song in disguise! Fans of Jesus Culture will love this, they will take it, love it, enjoy it and use in their own time of worship. There are some top songs on here. That’s what Jesus Culture do best, big songs that take the listener to God. These are not quick fix pop songs, these are songs that need investing in. From the forthcoming Jesus Culture album 'Living With A Fire' here is the live video for 'Center Of Your Love'. 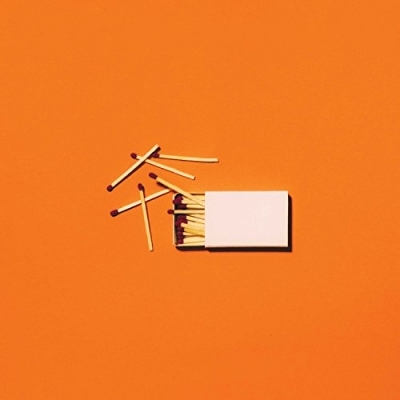 Ahead of the release of the new live album from Jesus Culture, here is the live video for title track 'Living With A Fire'.